It’s easy! Just add a headline (such as your HOA or building name) and then fill in the hours of operation. 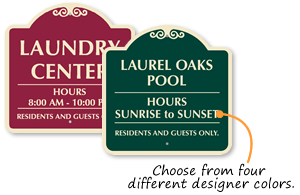 • A distinctive sign creates a great respect for your rules and property. 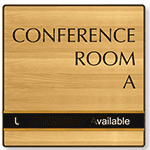 • Metal signs last for more than 10 years outside. Customize your “Open for Business” sign. Use for doors, gates or delivery entrances.